I have heard that I can sell my house for cash in Dallas Fort Worth, but should I is what I am questioning? Not always. Cash is a great way to go but sometimes there are other options. 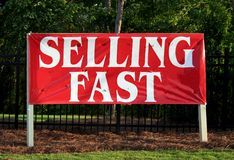 In thie quick post I would like to tell you how to sell any property for cash, some reasons for refusing a cash offer – and then when you should say Yes. If you’re selling a property in DFW to an end buyer (this means the person buying it will actually be living in the home), chances are good it won’t be bought paying cash. Most of these types of transactions close with a bank financing loan, because most buyers don’t have the types of funds required. The truth is most investors don’t close transactions with cash and if they do it is not their own it is someone elses who they are borrowing it from. It’s easy to let a bank take on some of the risk, even if you have the money – most investors spread themselves too thin and become overleveraged. At Connor Buys Houses we make sure not to spread ourselves too thin, because our primary goal is to build stable communities around Dallas Fort Worth keeping property values high. 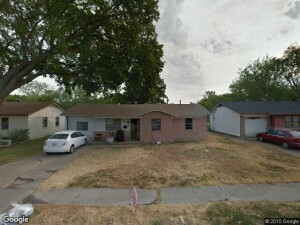 In most cases, we’ll pay cash for your Dallas Fort Worth property in a matter of days. You don’t have to deal with the hassles of working with a bank and waiting months for a buyer to maybe get a mortgage, only to be told that the lender eliminated the program at the last minute. You don’t have to list your house with a real estate agent who does hardly any work and wants you to pay him or her a huge commission. You don’t have to deal with “tire kickers” checking out your property for fun. We will not waste your time. This is our business and this is what we do everyday. 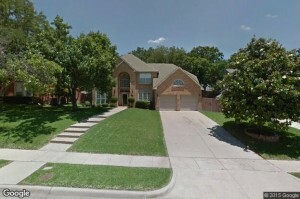 If I am selling my house for cash in Dallas Fort Worth I would call someone like us right away to save the time and headache of the longer process with the bank and agents. You don’t need to make repairs, paint, or even clean up. We buy properties just as they are in AS-IS condition. You won’t waste money on junk haulers or contractors taking breaks more oftern then actually doing work. You don’t need to deal with any paperwork. We make it super easy and do all this for you. Always make sure that your cash buyer is reputable and can be trusted. At Connor Buys Houses, we offer great testimonials of past sellers we’ve helped, we have no problem showing you examples of some of the latest projects we’ve worked on, and we are happy to answer any questions you have. We take pride on being a strong part of the DFW community. Our local mission is to help local Dallas Fort Worth TX homeowners who need to sell your Dallas Fort Worth house fast do it quickly and easily, at a fair price to you, while helping improve the beauty and value of our neighborhoods just one house at a time. If you’re wondering about selling my house for cash in Dallas Fort Worth or just need to sell a property in DFW, we can help you right now today. We buy properties just like yours everyday from people who need to sell their home quickly. Sell my house without an agent in Dallas Fort Worth?